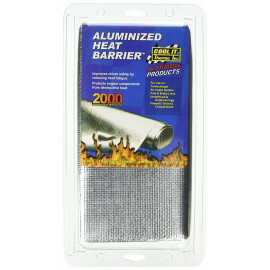 Thermo Tec Heat Barrier Shields available now at CAM Auto. These heat barrier shields are extremely easy to install for and can withstand even the most extremes of heat within your performance vehicle. If you find any Thermo Tec product cheaper anywhere else, call us on 01727 827717 and we'll price match for you. 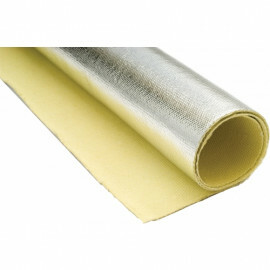 This Thermo Tec Adhesive Backed Heat Barrier at CAM Auto protects parts and components from radiant heat. 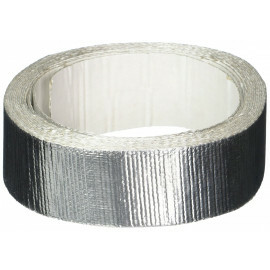 It can be used in applications to protect painted surfaces, plastic parts or any .. 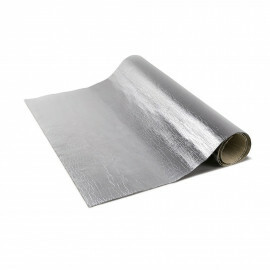 The Thermo Tec Aluminised Heat Barrier at CAM Auto is made up of woven silica with a flexible aluminized finish. The highly-reflective surface of the material is capable of withstanding radiant tem.. 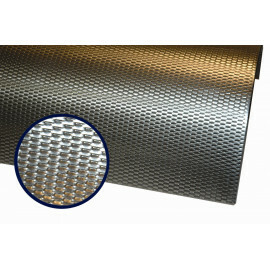 The Thermo Tec Fire Proof Shifter Boot at CAM Auto Developments is made of woven silica with a flexible Mylar finish. 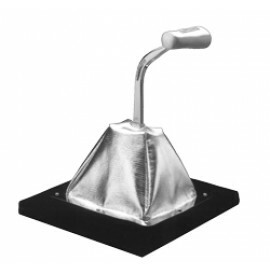 The shifter boot was developed as a fire barrier for high-speed engine fires. ..
Kevlar Heat Barrier Shield 26" x 40"
The Thermo Tec Kevlar Heat Barrier Shield 26" x 40" at CAM Auto is made from Kevlar with a Mylar finish. 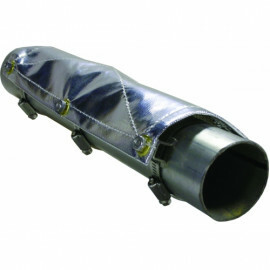 The Cover can withstand up to 3000deg F of radiant heat and can withstand direct contact up ..
Kevlar Muffler Cover 26" x 40"
The Thermo Tec Kevlar Muffler Cover 26" x 40" at CAM Auto is made from Kevlar with a Mylar finish. The Cover can withstand up to 3000deg F of radiant heat and can withstand direct contact up to 1100..
Lightweight yet durable, the aluminum Thermo Tec Micro-Louver Air Shield at CAM Auto features micro air louvers, which allows air to flow through the metal shield. 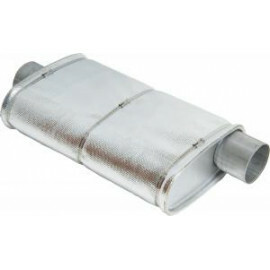 The movement of the vehicle creat..
Muffler/Cat Heat Shield 24" x 40"
The Thermo Tec Muffler/Cat Heat Shield 24" x 40" at CAM Auto is made up of woven silica with a flexible mylar finish. The highly-reflective heat shield can be installed between the catalytic conve.. 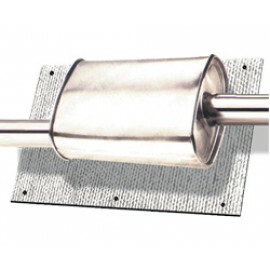 The new and improved flexible clamp on pipe heat shield blocks over 95% of the damaging radiant heat of the exhaust.The High-tech composite construction of the heat shield provides the ultimate in .. This Thermo Tec Thermo-Shield Adhesive Backed Barrier at CAM Auto protects hoses, wires and components from radiant heat. It can be used in applications to protect painted surfaces, plastic parts o..